A fixed indexed annuity is simply a variation of a traditional fixed account. Both offer safe and insured protection of your principal and interest, but indexed annuities credit interest based on the performance of indexes like the S&P 500, Dow Jones, NASDAQ or one of the many other available. Fixed indexed annuities do not credit interest daily. They leverage your interest by purchasing options. 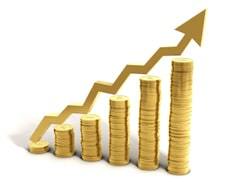 If the market goes up, you participate in that growth and interest is credited to your account. If the market goes down, your principal (and gains from past years) are safe from loss. Indexed annuities cannot lose value and have no direct stock market exposure like variable annuities or mutual funds. 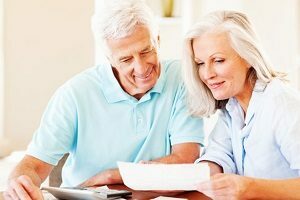 (Listed above are fixed index annuities offering some of the best caps and rates. Please keep in mind that this chart is a very brief overview. Within most of these same annuities are several other indexing options to choose from; we have just listed attributes that many of them have in common. Only Americo has an ongoing annual fee while three others offer premium bonuses. The stock market has been extremely volatile over the last 15 years. Investors have experienced significant losses due to market gyrations. Fixed-indexed annuity accounts are a popular alternative as they avoid losses during market corrections and credit meaningful interest gains during market upswings. Indexed accounts do not credit interest daily. Rather, the insurance company leverages these interest returns by purchasing an option into the market. There are usually several crediting strategies to choose from in any given annuity. Option contracts are tied to the S&P 500®, Dow Jones®, NASDAQ® or one of several other market indexes chosen by you the account owner. In fact, many carriers are offering proprietary indexes in order to increase returns and reduce volatility. These options either increase in value (and credit interest to your account) or expire without value if the market goes down. You are only risking your interest each year – never your principal or gains from previous years. Worst case scenario is the market goes down and your account credits no interest for that particular cycle. With interest rates at all time lows, that’s not much of a gamble. But if the market goes up, these accounts can credit over 10% or more in just one year. How Do Fixed Indexed Annuities Credit Interest? If the chosen index (S&P 500 for example) increases over a predetermined period of time (usually one year) then the value of the option contract will increase as well. In contrast, if the option loses value over the chosen cycle, then no interest would be credited to the annuity and the option would expire without value. Your principal would stay level, but you would not lose value like you might with a variable annuity or mutual fund. To simplify this point: Only your fixed interest for the current year is at risk, but the principal and interest gains from prior years are not. The account either increases or maintains value, but any interest gains from previous years are locked in and cannot be lost in following years. In this way, you are only leveraging your yearly interest for better returns. In no way are you risking your principal or past interest credits. All indexed annuities offer minimum guarantees to the account owner. Should the index credit no interest for the entire term of the annuity due to extremely weak market conditions, then the principal will be multiplied by a predetermined percent as stated by the insurance company in the contract. You are then free to walk away with your principal and invest it somewhere else. It is very rare for the guaranteed minimum value to be worth more than the accumulated value however. In almost all cases, the index performance will surpass the declared minimum guarantee. If you are more conservative in nature, a traditional fixed annuity might be best for you, but if you are willing to leverage your interest for the opportunity to capture higher returns, then an indexed annuity may be a more suitable account. Indexed accounts are designed to offer higher interest returns than traditional fixed annuity accounts. It’s not uncommon for these accounts to credit 7% interest (or more) when market conditions are favorable. In very good cycles, interest returns can be above 20% for just one 12 month period. Within most index annuity accounts, you will have several indexing options to choose from. This diversification allows you to position your funds for maximum growth each year depending on market conditions. You don’t have to choose just one account. Most annuities will offer different ways to capitalize on growth in the S&P 500, but it’s not uncommon to see the NASDAQ, Dow Jones, Russell 2000, European indexes, precious metals and many other options offered as well. In fact, there are some accounts that will credit interest when the market goes down or interest rates go up. Several others offer proprietary indexing methods that have performed very well. Fixed-indexed annuity contracts usually have a one year fixed account option as well. The fixed account can be used in volatile market years when markets are stagnant or going down. Rather than wait out negative market cycles, you can achieve guaranteed gains in the one year interest only fixed account. Or you can use inversion, precious metal or rising rate strategies when in a bear market. There are always indexes crediting interest each year. You’ll always have the ability to reallocate funds within your annuity each cycle (usually 12 months) in order to adjust to economic conditions. There can be market cycles when returns are low, but 0% will be your floor with all indexes. No matter the economy, your principal (and gains from previous years) cannot be lost when the market goes down. In summary, indexed accounts are more aggressive than the traditional fixed annuities they evolved from. They are appropriate for consumers who might not be comfortable with direct exposure to the overall markets, but desire the possibility of above average interest gains without the risk of market losses. Our independent annuity agency offers fixed-indexed annuity accounts direct to consumer from several highly-rated and well capitalized insurance companies. We will help you find the most suitable account to fit your investment needs.